Well… It has been a rather long time since I last posted on here… Hopefully that is going to change. 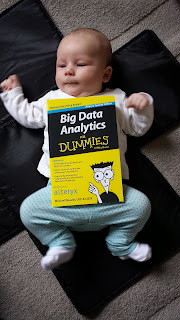 But in the meantime if you are eager for some more Alteryx related blogging content, there is a new blog in town by Alteryx’s very own CTO Ned Harding. (http://alteryxned.wordpress.com). There has already been a number of great Alteryx related posts and also some more personal posts on teaching kids to program. And the August monthly round up is a great place to start too. 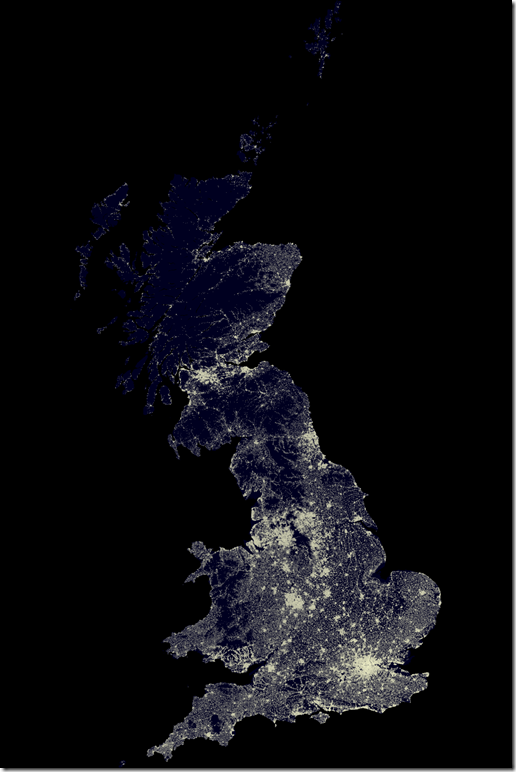 There is also a blog post about creating this rather beautiful satellite night style map (above right) showing UK demographic data. Which brings me very nicely to a more personal announcement. As long time followers of this blog will recall, I moved from the UK to Boulder, Colorado to work for Alteryx as a software developer. Well I have now relocated back to the UK mainly because of this next picture. 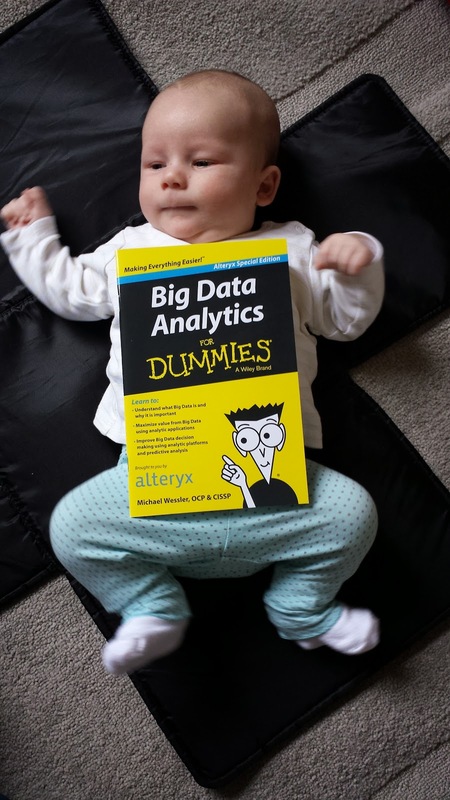 No not "Big Data Analytics For Dummies". (Although it is a great little publication and well worth a read. If you haven’t already downloaded it already you can get a copy here). But rather the model in the shot: my daughter Ida. My wife and I thought with it being our first child it might be helpful to have free baby sitting, in the form of Grandparents, a little closer than a nine hour flight away! So I am back in the UK, but very thankfully still working for Alteryx (I mean where else would I want to work?) and currently living in Cambridge: Silicon valley of the UK as I like to tell my American friends. (For anyone who has visited Silicon Valley and Cambridge, I think you will agree that there really is no need for further comment on the subject). So if anyone feels like talking Alteryx or data (Or just joining some data minded people for a beer) you will find me a regular at the Data Insight’s meet ups in Cambridge http://www.meetup.com/Data-Insights-Cambridge/ (I say regular. I’ve been to one and it was interesting enough that I’m going to the next one).